I will give you the benefit of the doubt and say you knew that Mike Bordick was the man that replaced Cal Ripken Jr at shortstop, moving the Hall of Famer to 3rd base. But I am also willing to bet you did not know he was an All Star in 2000, the same year he hit 20 bombs and knocked in 80. 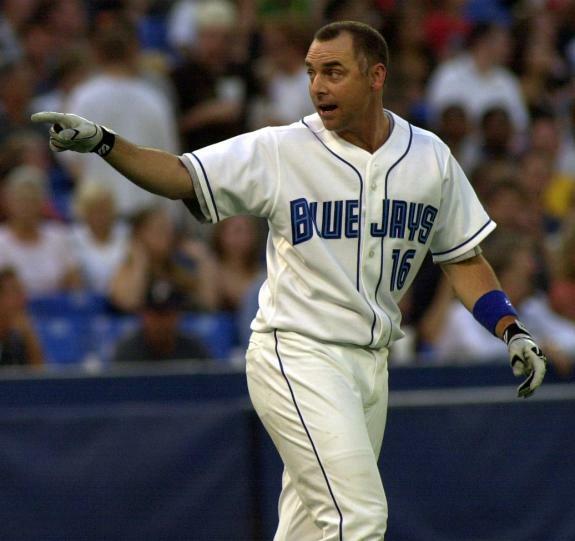 He ended up playing his 14th and final season in the Majors for your Toronto Blue Jays in 2003, finishing with a .982 lifetime fielding percentage. Our boy Jesse caught up with Mike last year in Lansing while he was a roving infield instructor. He tells the story of how he got into the role with the organization and drops a couple of names - J.P. and Dickie Scott - that really should make you shiver a little bit at this point. From what we can see, he is currently employed by the Orioles of Baltimore as a roving coordinator.